Professional Wireless Communications offers comprehensive digital wireless radio solutions for businesses in the transportation industry. Most companies in transportation rely on dispatch and wide-area coverage with one-to-many two-way radio systems. Whether your transportation service involves a fleet of school busses or tow trucks, or is smaller sized courier service, PWC offers digital radio systems that will make your business run more efficiently and effectively, saving you time and money. At PWC, we’re experts in two-way radio and dispatch systems that can help you solve your communications needs and keep things running smoothly when your drivers have to hit deadlines. One-to-many radio systems take care of so many logistical issues for transportation companies. With all of your drivers listening on the main radio line, everyone knows what’s going on with all of the vehicles and not just their own. Cell phones have their place, but if you’re in the transportation industry, two-way radios are infinitely more efficient and cost effective. If you have more than a couple of vehicles on the road, you need to have communication between them to operate as efficiently and as cost-effectively as possible. If you have bus lines or tow trucks in multiple cities, you need wide-area coverage. PWC can set you up with a two-way radio system that gives you all the range you need to reach all of your drivers. We start with a consultative approach to determine exactly what your communications needs are and then offer solutions to best meet those needs. Any transportation job can be frustrating without clear communication between central dispatch and the vehicles out on the road. PWC offers digital radio solutions that allow you to have numerous lines of clear communication between dispatch and different groups of drivers. With the flip of a switch, dispatch can go from talking to school bus drivers for one school district to talking to a group of special education drivers all the way across town. Digital two-way radio gives you a huge increase in range that will make your operation run more smoothly and cost-efficiently. 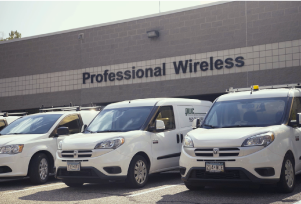 Professional Wireless Communications understands how crucial effective, wide-ranging lines of communication are for transportation businesses. We work closely with every one of our customers to find out exactly what their communication and radio needs are and develop a plan specifically for their needs. At PWC, we pride ourselves on exceptional customer service. 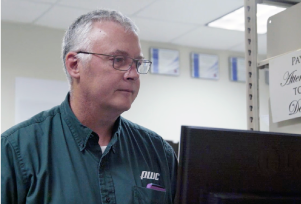 Servicing radios and making sure our customers are 100% satisfied is a huge part of what we do. At PWC, we understand that no two transportation businesses are going to have the exact same set of needs, that’s why we offer so many different products. Our most popular radio for the transportation industry is the Hytera DMR mobile dispatch radio family. DMR stands for Digital Mobile Radio – an open digital radio standard. DMR has received global recognition as a technology that combines voice, data, features and applications. Thanks to the DMR standard, Hytera DMR mobile dispatch radios work with any other compliant system. But what sets Hytera apart from other wide-area dispatch radios is the breadth of range and feature set across our DMR radios.